Maurizio Sarri is open to John Terry returning to Chelsea as a coach and has revealed the pair have held recent talks. Former Chelsea captain Terry left Aston Villa at the end of last season and this week turned down a move to Russian side Spartak Moscow. "The last time I spoke with him he told me he wants to play for another season," said Sarri. "But I don't know the situation now. I'm talking about one week ago. Chelsea is his home of course." Asked if he would be open to Terry's return, Sarri said: "Of course." 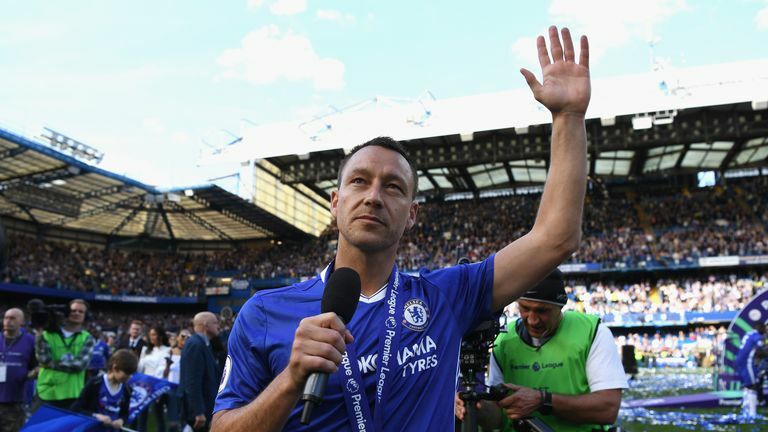 Terry won the Premier League title five times with Chelsea, who are too far off Manchester City and Liverpool to be considered contenders this season - according to Sarri. The Chelsea head coach has won his first four league games in charge. Terry would be a point of reference for me, for everybody here I think. But, ahead of facing Cardiff on Saturday, Sarri admitted his side "are not a very solid team in the defensive phase". Asked to clarify if Terry would return as a coach or player, Sarri said: "In the coaching staff I think. As I said before I want to give space to the younger players. Fortunately we have very strong young players. "Terry would be a point of reference for me, for everybody here I think. "Here is his home. So he will be very important for everyone here. His presence." Terry left Chelsea in 2017 after playing 713 times for the club since his debut in 1998. He rejected Premier League offers to join Sky Bet Championship side Aston Villa, but departed this summer after the club lost the play-off final to Fulham. Villa manager Steve Bruce wants to re-sign Terry but admitted the club cannot match the salary they paid him last year. Sarri said Terry's possible return to Chelsea is "up to him". "If he wants to play for another season I think it's right he tries to play," said Sarri. "But if he wants to help us I'm very, very happy. "I'm very open with him because he's the history of the club."